Trump starts in office and tries to implement his corner stone policies which on the surface the Republican Party will support and the Democrats will try to block. But my friends, people are forgetting this is POLITICS! Not business, not reality TV. It is a land where sense does not prevail and the most obvious outcome or strategy is rarely the one chosen. Trump is out of his depth. Let me ask a question… Why, did the stalwarts of the party suddenly stop criticizing him when it became obvious he had a chance to win? Politics. Trump thinks he has their support now, or worse doesn’t need their support, but he is wrong. They’ll get as much as they want – tax cuts galore, deregulation, military buildup, slash all those poverty programs, and then get to work on Social Security and Medicare – and blame him. And he’s such a fool he’ll want to take credit for everything. Let’s start with the tax cuts. For starters, the $6.2 billion proposal gives 47% of its personal-tax cuts to the top 1% of earners, (according to the nonpartisan Tax Policy Center) while raising taxes on about 9 million working-class folks, mostly single moms. The plan will boost the national debt by $5 trillion in the first 10 years. But people argue that President George W. Bush’s tax cuts slashed deficits and staved off 2008’s disaster. Bush’s tax cut did stimulate an economy that was losing jobs and heading into recession. But that’s the exact opposite of now. The economy grew 3.2% in the third quarter, with the fourth quarter standing a good chance to deliver nearly the same. There is nearly full employment, led by the 216,000 jobs gained in November reported Wednesday by payroll processor ADP. The unemployment rate for November fell to just 4.6%, the lowest level in nine years. Workers’ earnings are up at a 2.5% annual rate, with inflation nearing the Federal Reserve’s 2% target, both good signs for next year. The economy doesn’t need a Trump stimulus package. It’s actually a waste of money. Also, the Bush tax cuts didn’t exactly work as advertised. The economy didn’t add private-sector jobs in either of Bush’s two terms — that’s never happened before. Wages and productivity growth stagnated as the effects of the late-1990s Internet boom wore off, and economic growth never approached 1990s levels. 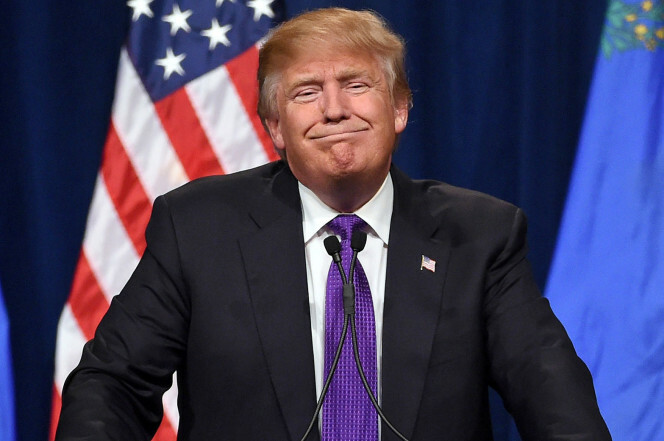 Trump’s plan will undoubtedly reduce the amount of money Americans pay in income taxes. Kyle Pomerleau, an economist at the Tax Foundation, which advocates lower tax rates, said the cost of Trump’s cuts could easily total more than $7 trillion over the next decade. For single people making less than $25,000, and married couples earning less than $50,000 a year, Trump plans to get rid of federal income taxes entirely. He also keeps the Earned Income Tax Credit, a benefit for low-income Americans they can claim even if they pay no taxes under the current system. Trump would reduce the number of tax brackets from the current seven to four: 0%, 10%, 20% and 25%. While such a change would reduce taxes for middle-income earners, the “most other Americans” who would benefit the most would be those who make enough to fall into the current top tax bracket and pay 39.6 percent on income above $413,000. Steve Gill, a tax and accounting professor at San Diego State University, said that as a group, Americans who are making more than $200,000 a year would pay $400 billion to $500 billion less in taxes annually under Trump’s plan than under the current system. It appears likely that Trump’s plan would be a financial boon for someone of his wealth. Trump and his wife would pay 25%, instead of the current 39.6%, on any income above $300,001. An income statement he released alongside his personal financial disclosure report this past summer reported his 2014 income as $362 million. That’s a saving to him of $52,852,000 a year or $144,800 a DAY! That was probably worth the whole campaign in his first year. Or equal his salary as President in just 4 days. Just by implementing this tax saving Trump will be $211,408,000 better off after his first term. His proposal to eliminate the 40% tax on inheritances of more than $5.4 million would allow him to pass on his estate to heirs tax-free, a savings worth billions given his estimated net worth of more than $10 billion. And by cutting 10 percentage points from the current corporate tax rate of 35%, the Trump Organization and its hundreds of subsidiaries would pay less — assuming they don’t already use tax strategies to reduce their effective rate below 15%. And worse of all while it might boost the economy a few bases points the economy is already recovering and he will take credit for it while significantly increasing the country’s debt and all the rich Republicans will be laughing all the way to the bank. I’m not going to go into how trickle-down economics doesn’t work (it doesn’t). The simplest explanation is when you give the majority of the tax breaks to the rich it doesn’t trickle down because they can spend whatever they want already. They don’t increase their spending when they get a tax break, they increase their wealth. So, the country misses out on the revenue, and clocks up massive debt and the middle class gets a few extra bucks while the economy does what it was going to do anyway. Let’s look at just one aspect of spending and build up – the Navy 300 ships policy. The US Navy says it needs 300 ships to maintain its current and anticipated future mission. It has about 270 now so a gap of 30 doesn’t sound too much does it? Even when the latest aircraft carrier added to the fleet cost $13.7 Billion. (CVN-78 Gerald R Ford to be commissioned in 2017). The Navy says they need another 12 of those – $164.4 Billion. But it also says that about 2/3 of its fleet will need to be replaced due to natural attrition over the next 10 years so that’s actually 195 new ships. In 10 YEARS! At an average price of $4.5 Billion each – that’s $877.5 Billion! Billion!!! That’s almost as much as they spent on the Iraq war. Yay! Except why give the Navy just what they want? Why not promise 50 more ships, which is what Trump did, at a cost of $225 Billion. That’s an extra $155 million a day in expenditure. On top of tax cuts that are already going to cost the country up to $7 Trillion. And that’s just the Navy. Trump’s Defense Department spending plans include 1,200 aircraft, equipment and weapons for at least 65,000 new Army soldiers and at least 13,000 more Marines. The price tag for that? $450 Billion. A total potential expenditure of $1.5 TRILLION and some change! No wonder defense stocks are skyrocketing! Those bastards haven’t made this much money since Bush sent America to war chasing imaginary WMD and making his buddies at Haliburton, Boeing and Lockheed Martin rich beyond their wildest dreams! Oh, and killing between 150,000 and 1,000,000 million civilians depending on who you listen to. So yeah, the Republicans will let that through, even though they know all that debt will kill the economy because their rich buddies will benefit enormously. Another transference of wealth from the poor and middle class to the rich. Seems like a good idea, doesn’t it? Make it easier for big business to do business and the jobs and wealth will flow and the economy will go with it. Yes, the economy will go in a HUGE bang! Business is already too easy in the US. But I don’t want to start that debate. Let’s just look at the cost of the last deregulation mess up. The 2008 economic collapse. Most people think that the big bank bailout was the $700 billion that the treasury department used to save the banks during the financial crash in September of 2008. The Special Inspector General for TARP summary of the bailout says that the total commitment of government is $16.8 trillion dollars with $4.6 trillion already paid out. Yes, it was trillions not billions and the banks are now larger and still too big to fail. But it isn’t just the government bailout money that tells the story of the bailout. This is a story about lies, cheating, and a multi-faceted corruption which was often criminal. Yet how many bankers went to jail? Zero! The operating principles of the big banks is a cesspool of greed, ethics and criminal intent. 1980 – Investors fled conventional interest bearing accounts to alternatives such as money market, venture capital and hedge funds which were lightly regulated. In the US you can have a $200million fund and it is not subject to any regulations what so ever. Nothing! After the creation of new financial tools (like credit default swaps and derivatives) as well as more access to everybody’s money; the banks began to do high risk gambling. 2007 – The speculation and lack of effective regulation eventually led to the crash of 2007 and The Great Recession. Here’s the rub… The industry is not afraid to do it again because they know no one goes to jail and the government will bail them out. And Trump is keen to do it all over again. And the Republicans will back it because their buddies also got rich from this too! So much for draining the swamp! This is about building a much, much bigger swamp and filling it to the brim! Ok, so all of this will go through. Not because of the mighty DT but because the Republican Party wants it to. But you’re forgetting politics. That little game where Trump doesn’t have a clue and is about to be royally (or is that Presidentially?) screwed. You see all this is going to look great for a few years. It will look like Trump scored big time in boosting the economy, building jobs, reducing taxes, making America’s Military great again and probably some of his kookier ideas as well. Of course, they won’t build the wall because everyone knows it’s the stupidest idea ever and Mexico will never pay no matter how loudly Trump bleats and bellows. Behind the scenes however the GOP who actually HATES Trump will be setting him up. They know while at the beginning this will look great the debt clock will be ticking and that’s a reckoning even the mighty US can’t escape. They will want a Democrat in the seat when that happens so you’ll bet any support he has now will evaporate. And the Dem’s will come charging next election with a clean sheet candidate and a riled-up base. They’ll win of course but they also will be falling straight into the trap. The GOP will make sure the bills will pass but they won’t make it easy. They’ll collude with the Dems to add ridiculous riders to the bills that will bloat them and make even more of their cronies’ rich, and they’ll hold them up in both houses so they can later claim that they opposed them and only put them through once their President demanded them to. Why? So they can blame it all on the Trumpster. And he will fall for it hook line and sinker. While Joe Average will end up paying the GOP will walk away clean. And with a scapegoat. And the best is yet to come! The GOP LOVES Pence. He’s super conservative, clean, manipulabile and in many ways wackier than Trump. They all think Trump is out of his mind. So, the moment Trump does something really dumb – steps over the line – violates the law in a big stupid clumsy way … and you know he will, they will go after him big time. Blame Trump for the mess in the economy and the recession (possibly worse than the last) that is bound to happen, lump it all on the next Democrat President and get ready to sweep the elections again in 2025. THAT’s what I think is the most likely course!!! https://www.peterspann.com.au/wp-content/uploads/2017/01/Trump.jpg 441 664 Peter Spann https://www.peterspann.com.au/wp-content/uploads/2017/11/Peter-Spann-Text-Logo-Black-300x68.png Peter Spann2017-01-22 13:19:432017-12-20 22:48:55What will happen now Trump is President? Italy dreamin! 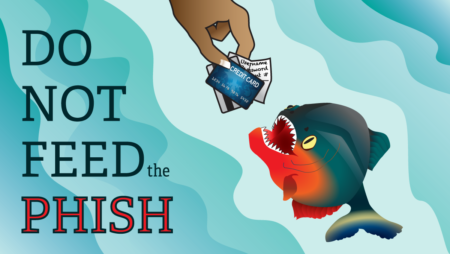 Do not feed the Phish!